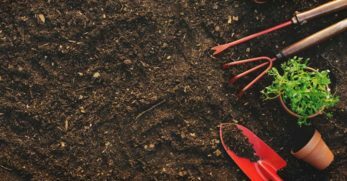 Do you have acidic soil which seems impossible to get anything to grow in? 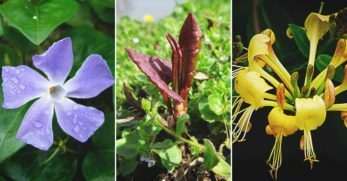 Well, before you become frustrated and try an endless amount of suggestions on how to amend your soil, why not explore plants which thrive in acidic soil? I bet you weren’t aware there is an abundance of plants which love these growing conditions. 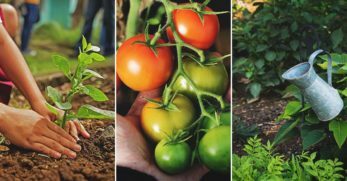 If you have soil which is below a pH of 7, but ideally hanging out at around 5.5, you could have great ground to grow an abundance of delicious fruits, vegetables, flowers, and trees. 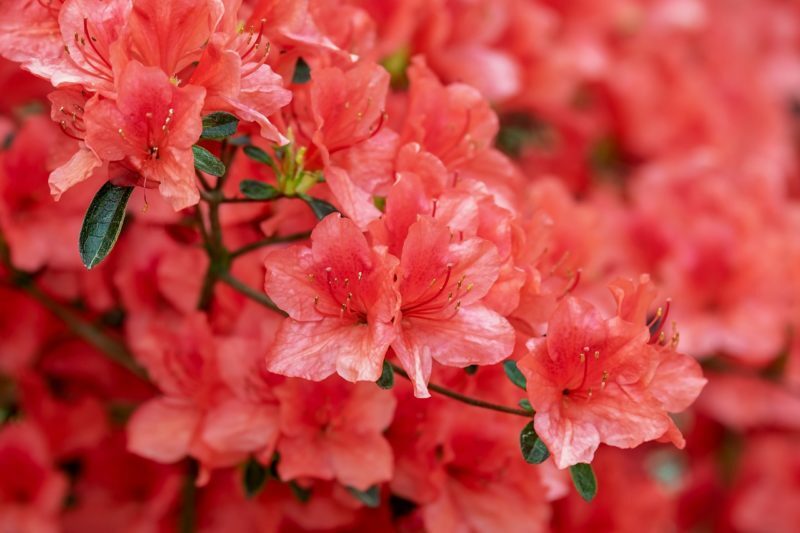 Azaleas are a gorgeous flowering bush great for adding a splash of color to your landscaping. They only flower in the last part of spring or earliest part of summer. However, when they bloom, they boast beautiful colors. 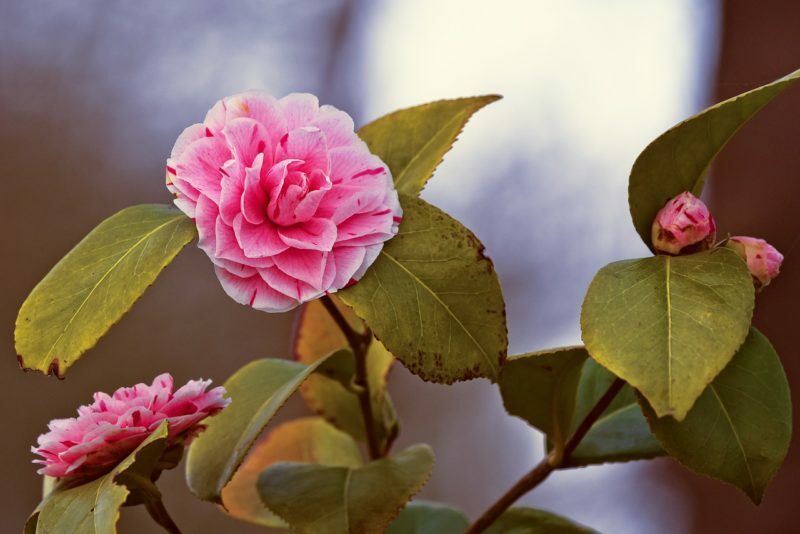 When blooming is complete, they still offer nice green leaves which will add life to your yard. We have these planted in front of our home with rose bushes, and they keep our home looking great all year long. If you’re looking for a plant which can be either a bush or a hedge, rhododendrons are exactly what you need. They bloom in the summer but are evergreen plants. Therefore, they’ll be a nice, lively addition to your landscape. But if you want an acid loving plant in your yard which will also draw pollinators, this is your plant. Bees love them, and you will too! 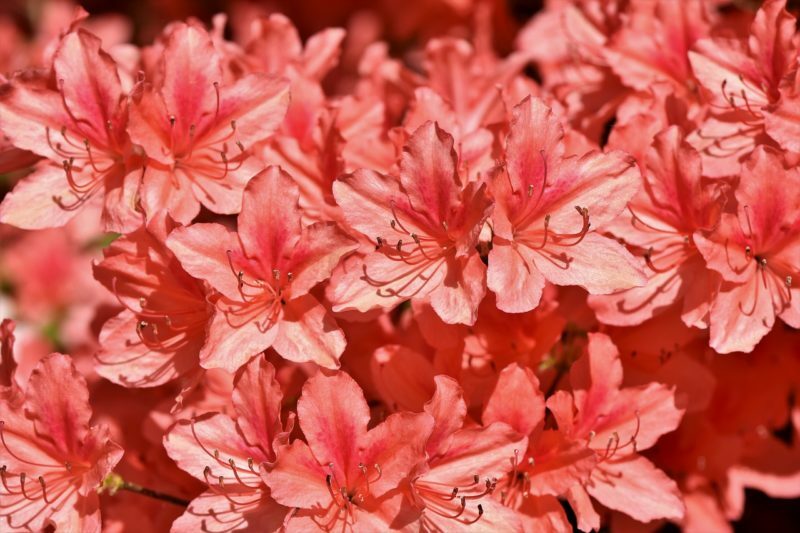 This plant is another relative of the azalea bush. It produces rose-like flowers and will only bloom in the spring. However, these bushes don’t handle frost well. If you live in a colder climate, you should take this into consideration prior to planting. 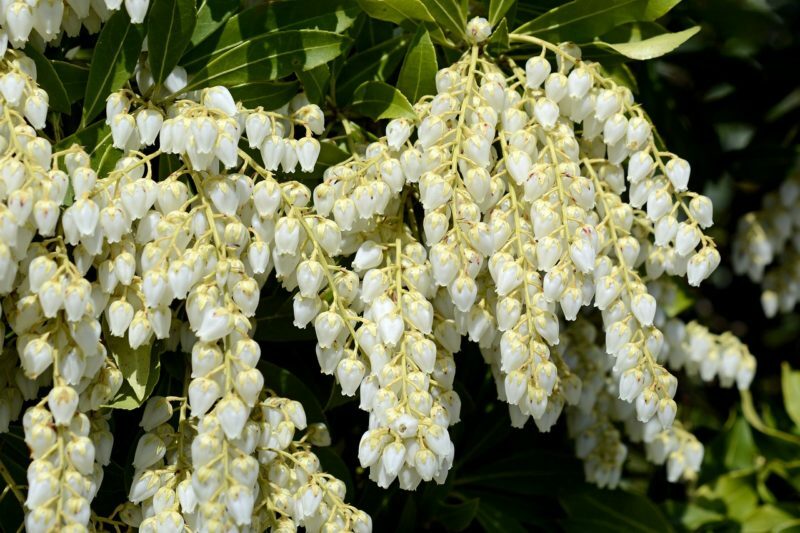 The Japanese Pieris produces huge bunches of gorgeous flowers during the spring season. It’s also an evergreen. For these reasons, it would be a great addition. You’ll either have a lively plant adding curb appeal to your yard and garden. Or you’ll have gorgeous blooms. Either way, it’s a win for your landscaping. Hydrangeas come in pink, blue, or white. The cool thing about this plant is when grown in very acidic soil, it changes the colors of the blooms. 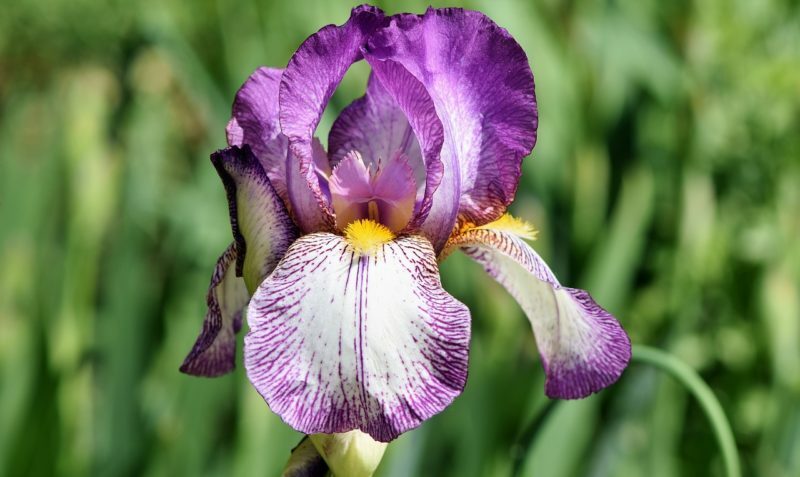 Therefore, you could have a variety of different colored blooms on one plant. 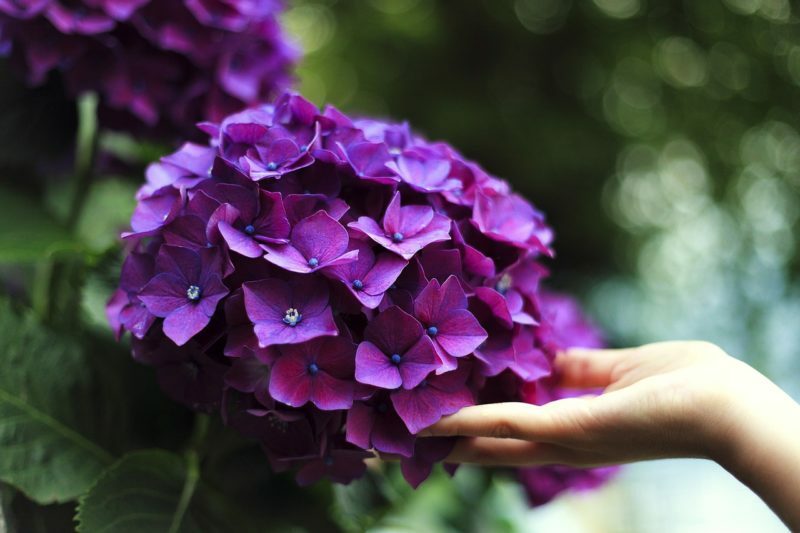 Hydrangeas aren’t finicky and can be grown in almost any soil type. They love water and are great for locations which receive a great deal of rain. These gorgeous flowers make you want to smile with one glance at them. 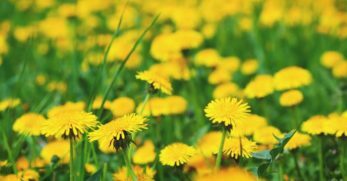 They have a yellow, cheerful head which pops out of the ground at the first sign of spring. They put off a strong but delightful fragrance. 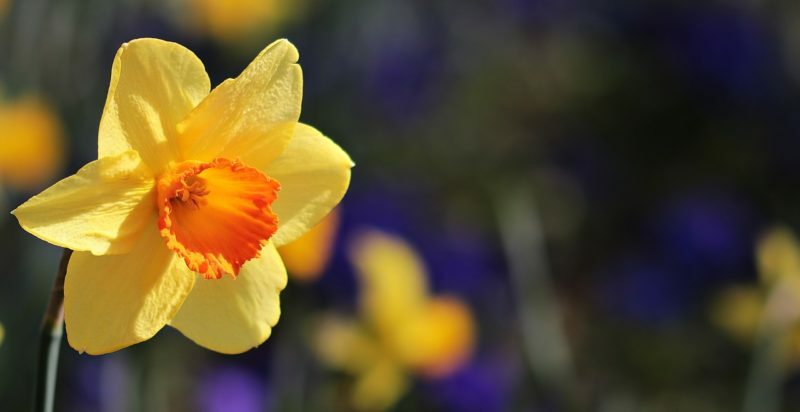 Plus, growing daffodils is easy because they come from a bulb. Plant the bulb in the ground, and you’ll have daffodils for years to come. This acid loving plant is one which loves to stretch its leaves and sprawl out. For this reason, it’s a great choice to use to edge walkways and other areas. 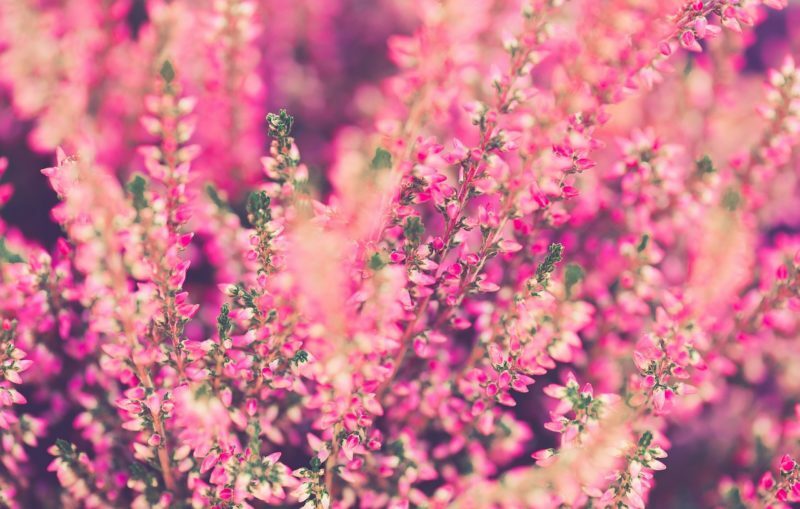 Also, if you have weeds taking over an area in your yard with an acidic soil pH, plant Heathers. They’re great at suffocating weeds. Plus, the flowers they produce are loved by pollinators. These flowers come in yellow, orange, or red. 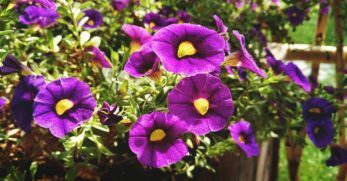 They bloom constantly and are great for adding instant curb appeal to your property. 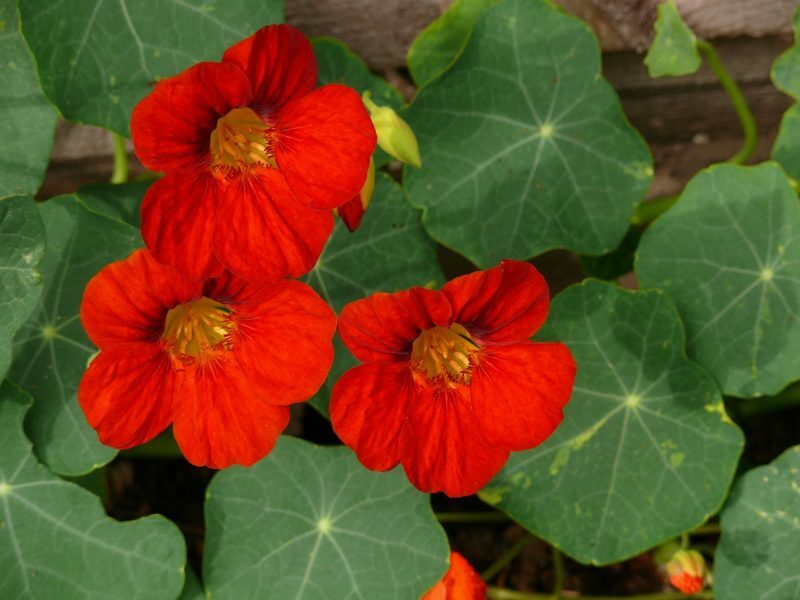 Nasturtiums are annuals, but they go to seed at the end of the growing season. When this happens, they drop a mass amount of seeds. You shouldn’t be surprised if they return on their own year after year. When my husband and I lived in our first home after being married, we had a neighbor who planted a magnolia tree in their front flower bed. It was absolutely gorgeous. Over the years, it grew up the corner of their home and added a ton of charm. 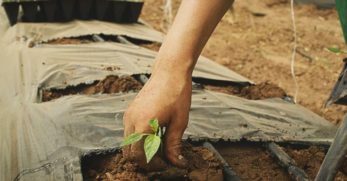 If you have acidic soil, try planting this small tree. It will grow over the years, and this should be kept in mind when planting. 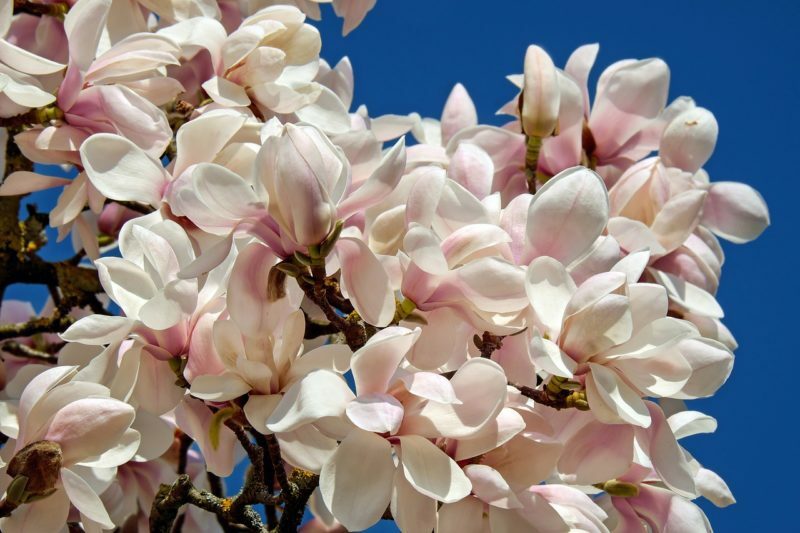 Magnolia trees produce gorgeous pink or white blooms which have a unique rounded shape to them. Marigolds are the flower of all flowers. They are bright and will easily draw your eye to them. 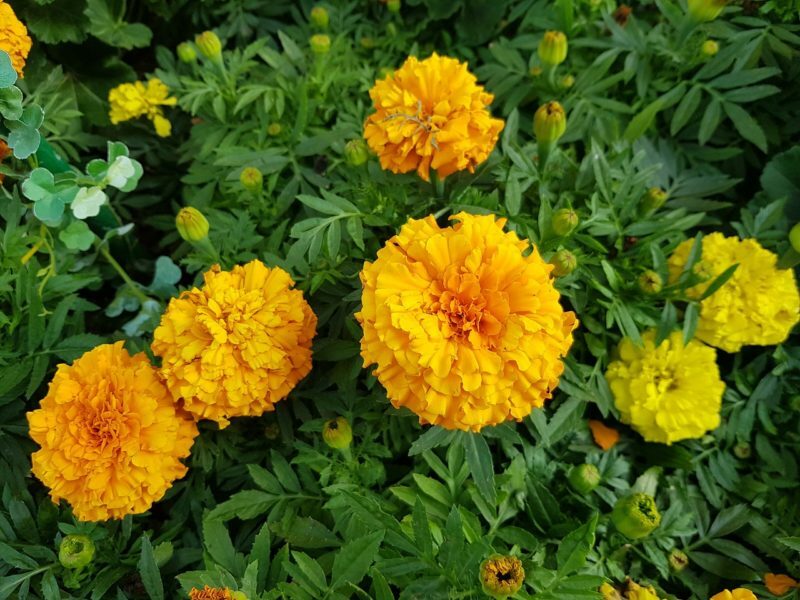 If you’re needing to brighten up a spot in your yard or garden with acidic soil, marigolds should be your go-to. However, as great as they are at providing color, they provide many other benefits for your garden. 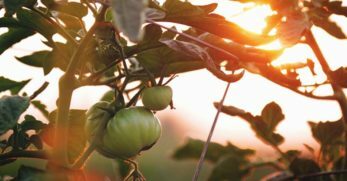 They are great at deterring pests and are a helpful companion plant to many other flowers, fruits, and vegetable plants. This is a shrub which loves acidic soil. 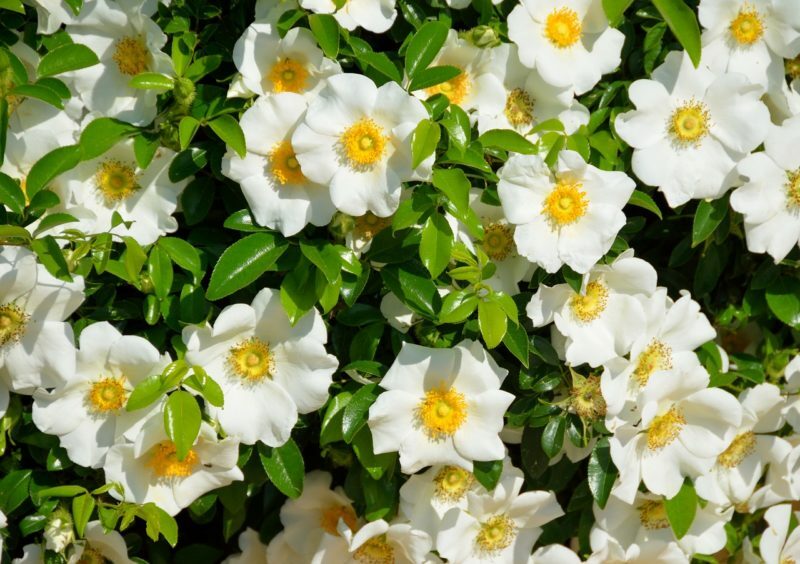 It also produces pretty white flowers which carry a delightful scent too. When they bloom in the spring and summer, they produce the traditional white bloom. However, in the fall, this shrub will produce blooms which are purple, red, yellow, and orange in color. 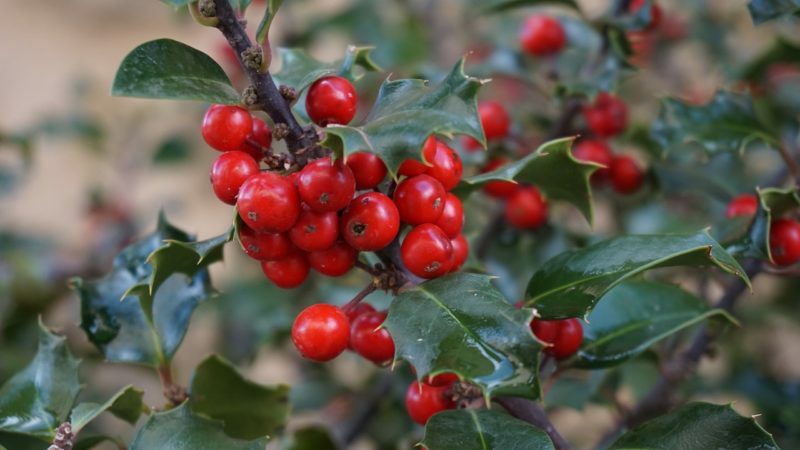 Holly is a magnificent plant to landscape your home year-round. It’s a beautiful green, backup singer to the gorgeous flowers you plant during the warmer months. However, in the winter, it produces a touch of color to an otherwise drab landscape because of the gorgeous red berries it produces. This plant is not an easy one to grow. They’re traditionally grown in the south because of their sensitivity to cooler temperatures and desire for humidity. Because of their specific needs, they can be difficult to grow and higher-maintenance in other climates. 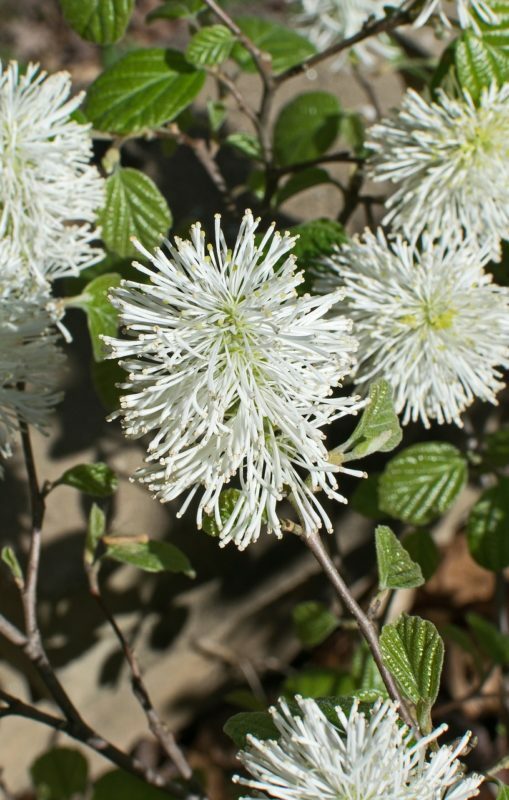 If you aren’t afraid of a little extra work, this could be a beautiful shrub for your landscape which also produces nice blooms as well. This plant is an acid loving option which is easy to care for. It’s also a perennial which makes it twice as nice since it’ll come back year after year. These plants bloom in purple, blue, and white. They also adore wet climates which make them a great choice for those who receive a great deal of rain. 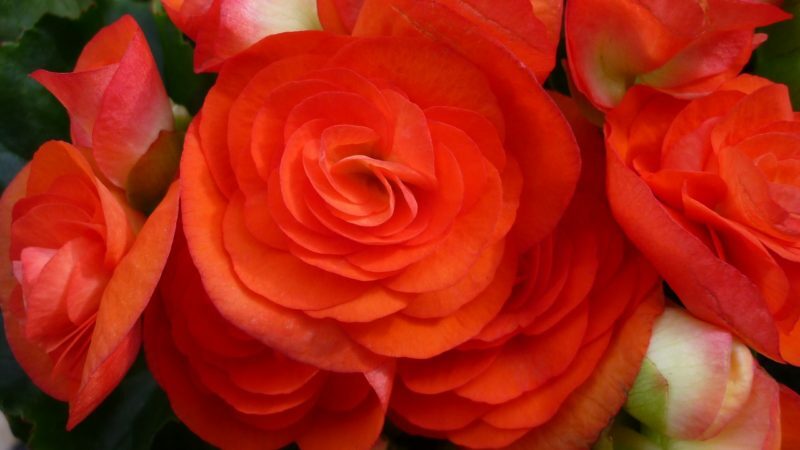 Begonias were one of my grandmother’s favorite flowers. She planted them in her yard almost every year. They’re bright, beautiful flowers which light up your landscaping. They’re easy to grow and love acidic soil. If you want a plant which produces colorful foliage instead of waiting for it to bloom, this could be a great option for you. 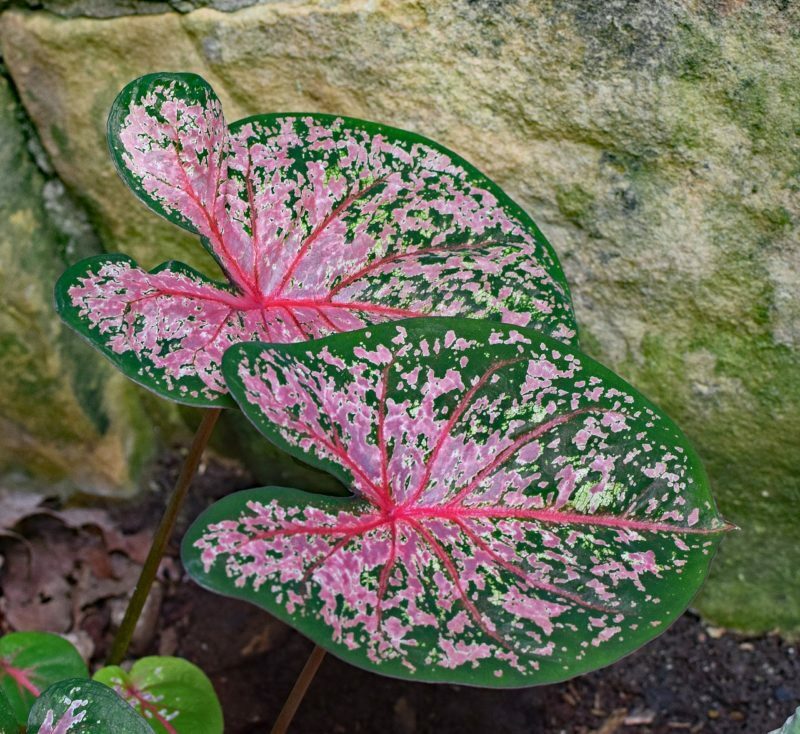 Caladium produces leaves which are vibrant and colorful. They have streaks of green, white, red, and pink on them. They’re great both in beds and used for edging. Plus, they add a subtle hint of color to your yard. 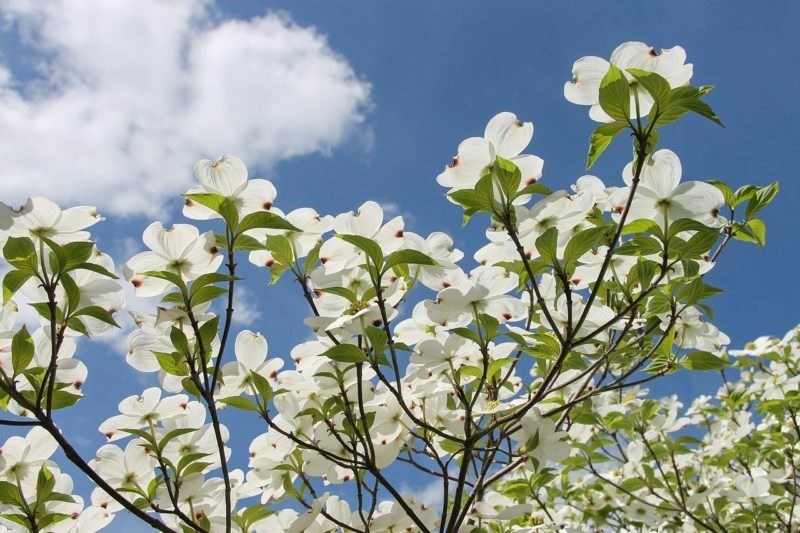 Dogwood trees are gorgeous and a personal favorite of mine. They produce white, pink, or red blooms during the spring. However, they only bloom for about two weeks to a month during this time. 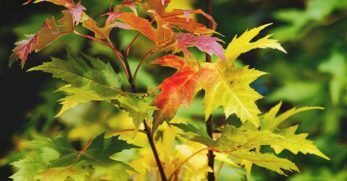 Yet, they still add a burst of color with their green leaves during the summer and again during the fall when they produce purple leaves. If you don’t live on a larger property, this isn’t the tree for you. However, if you have a wide-open space which needs shade, you’ll love a beech tree. Keep in mind, you should grow beech trees where most won’t walk. They produce lower branches which can easily trip you up. Also, plant them where you don’t plan on planting anything else. Because of the great deal of shade they produce, it can be hard to grow many varieties of plants. 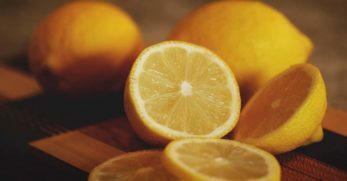 Do you desire to grow something in your acidic soil which will give you something tasty to eat and quickly? 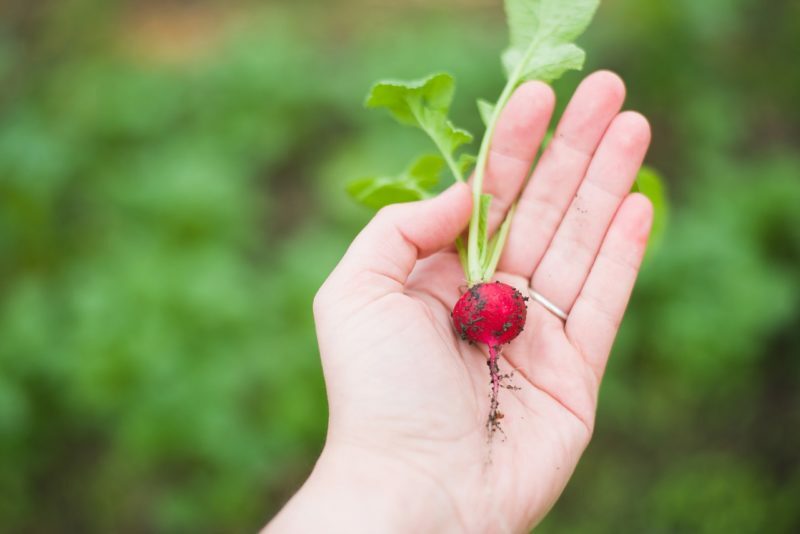 Well, you should consider growing radishes. They take only 45 days and can be a great addition to your salad or to be eaten as a snack. We recently planted our sweet potatoes. 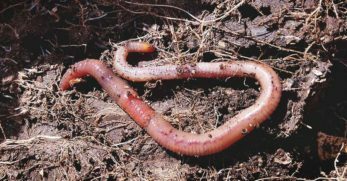 They enjoy acidic soil and are a delicious item to have around for meals. 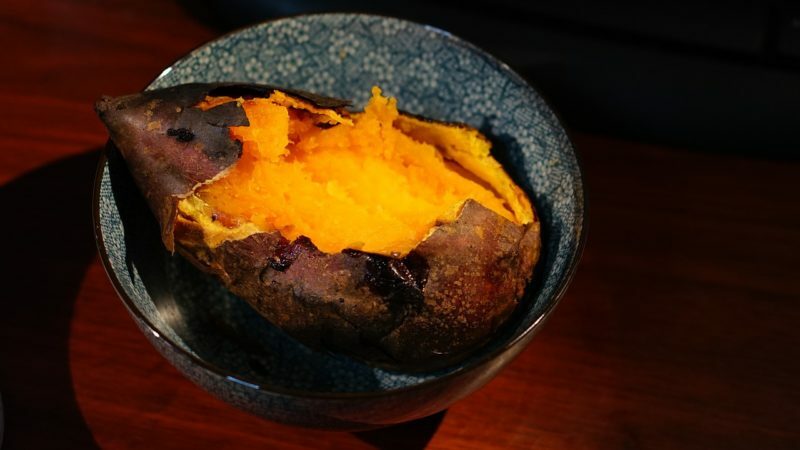 Keep in mind, sweet potatoes will have to be cured prior to your enjoyment. Curing is what turns their starchy flavor into their sweet goodness we all love. 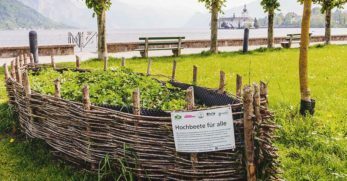 Do you grow a herb garden? 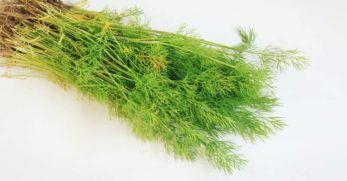 Herbs are a delicious addition to any meal, and they’re simple to grow as well. 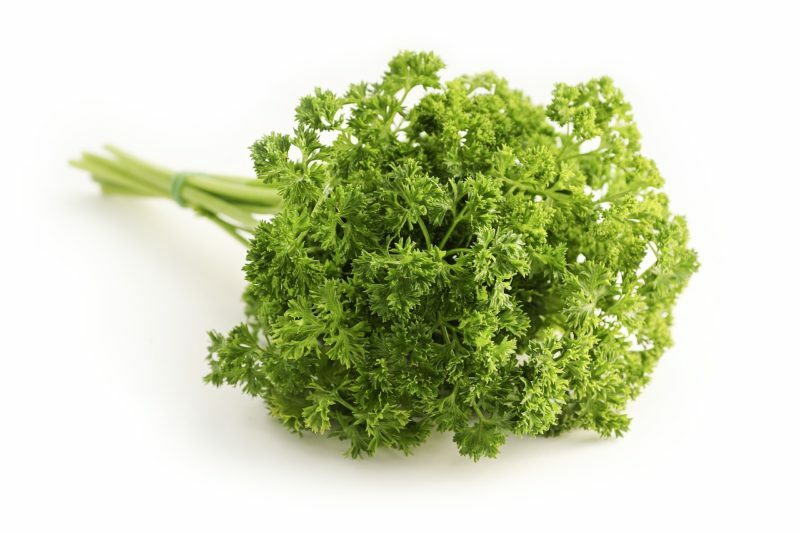 If you have acidic soil, consider growing parsley. 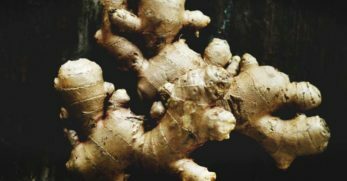 It loves a lower pH and can be dried for later use or added to any meal as is. There are many different varieties of peppers. 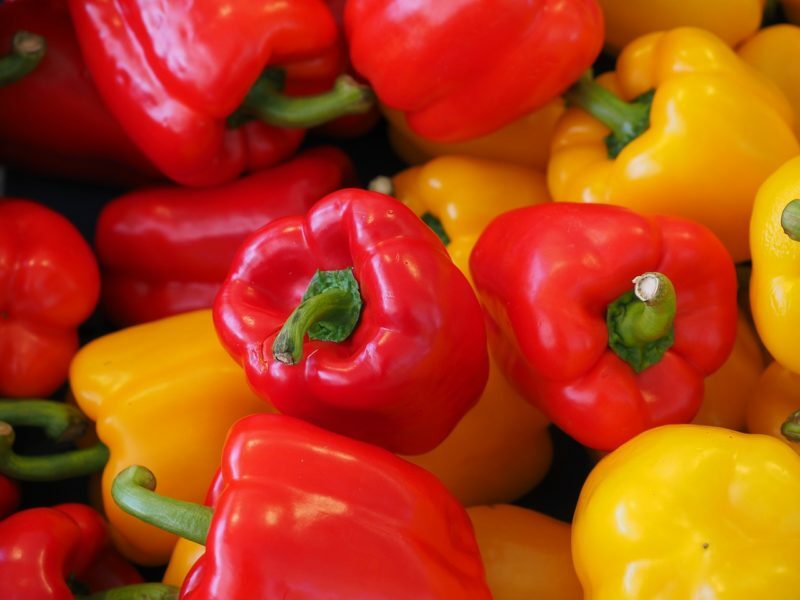 If you love heat, you can grow peppers to add to your meals. If you love milder flavors, you can grow varieties of peppers which only give you their sweet flavor. Either way, peppers are a great option to grow in acidic soil. I’ve already mentioned sweet potatoes, but we can’t forget white varieties of potatoes either. They’re versatile for many different meals. But they’re also a great addition to a garden which only has acidic soil to work with. 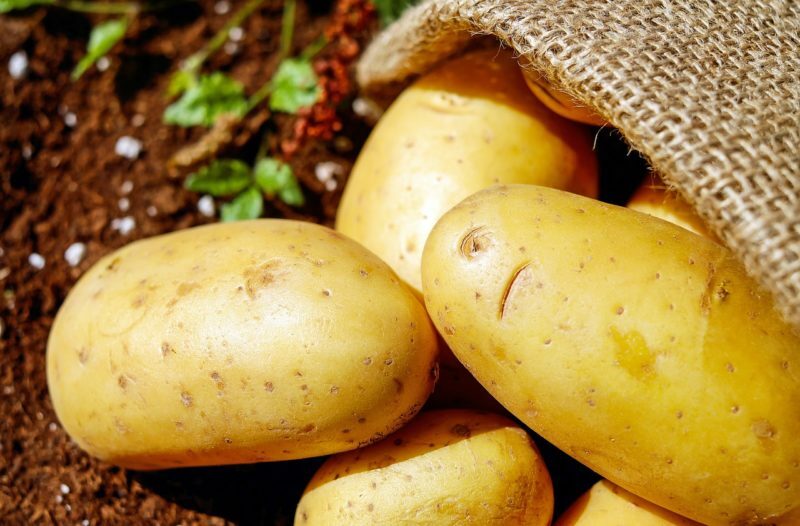 If you need a vegetable to grow in these conditions, consider raising potatoes. 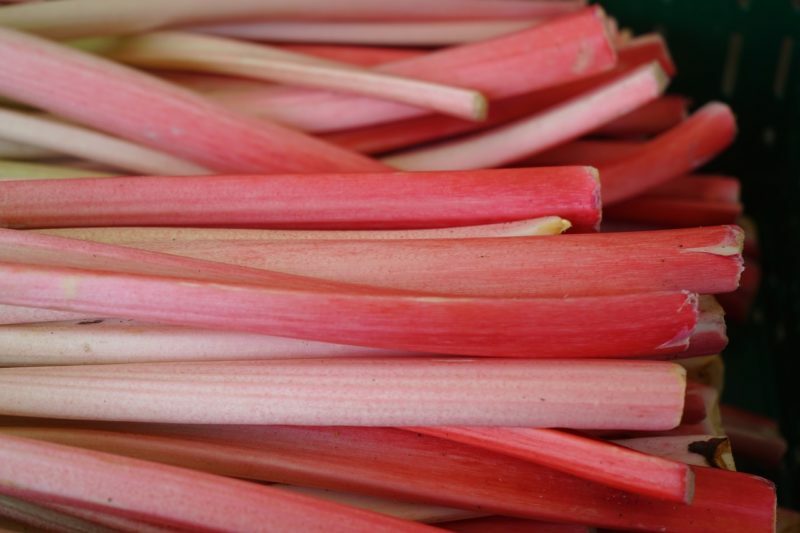 Rhubarb is an interesting plant. It’s a vegetable with a sweet flavor. 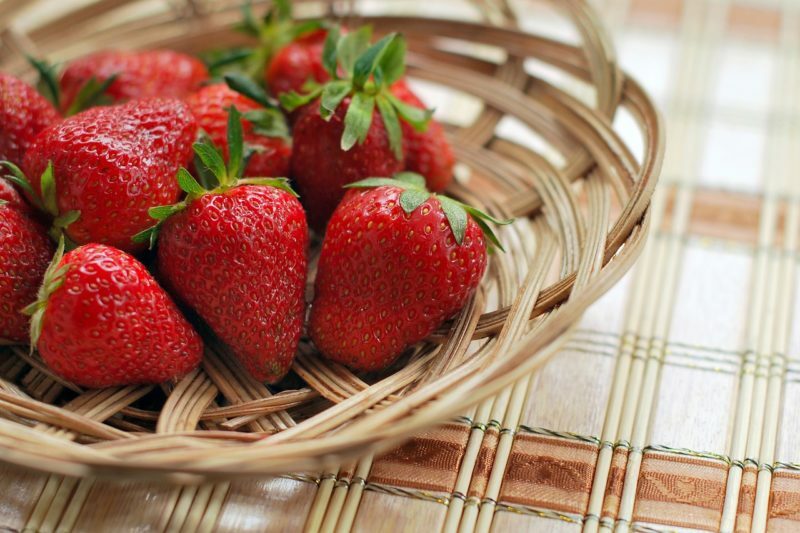 Because of its sweet flavor, it’s usually paired with fresh fruit in desserts. Rhubarb is also a perennial. This is great news because you plant it once and can enjoy it for years to come. What a great way to put acidic soil to use! When I consider growing something in acidic soil, blueberries are the first thing which comes to mind. They adore acidic soil and thrive in it. We have a gorgeous blueberry patch on our property, and it produces well year after year. 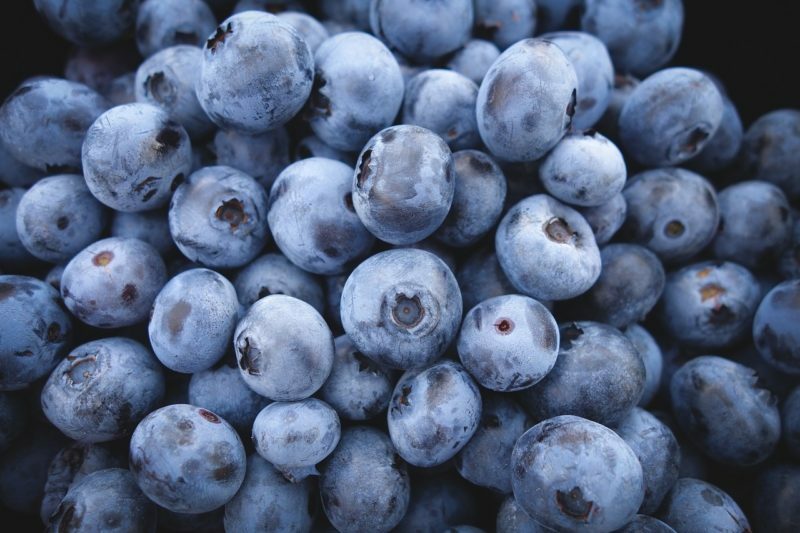 If you’re looking for a delicious way to use your acidic soil, consider planting a few blueberry bushes. 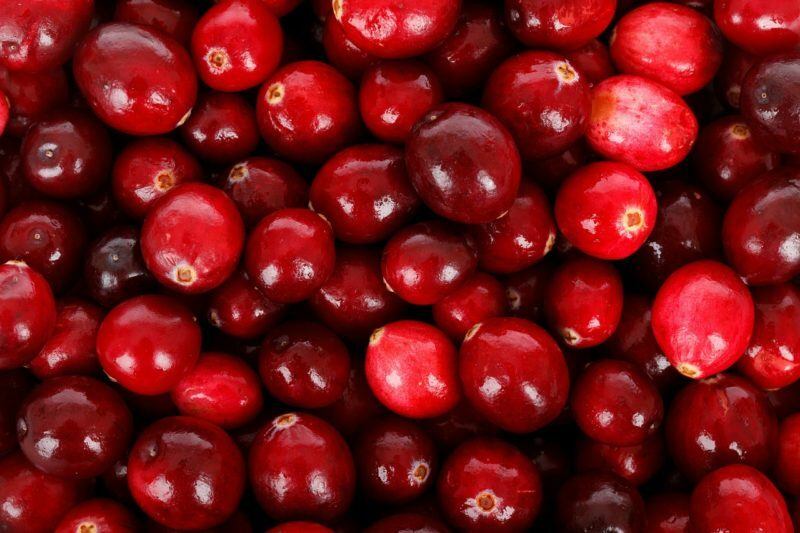 Many people scoff at the idea of growing cranberries in their acidic soil. The reality is, you don’t have to live underwater to be able to grow your own cranberries. They aren’t the easiest plant to grow, but once you get the hang of it, you could have your own cranberries being produced from the acidic soil you thought would be your demise. 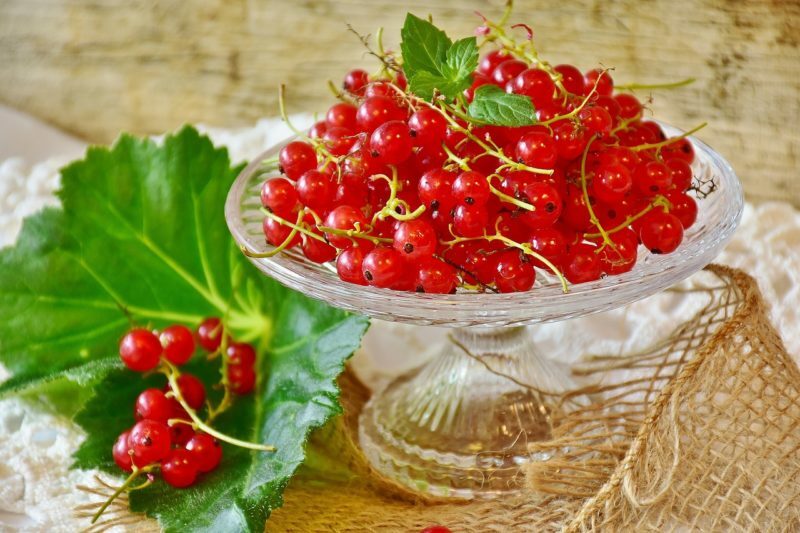 Currants are a delicious fruit you can grow in acidic soil. They can be used to make homemade jams when they produce each year. 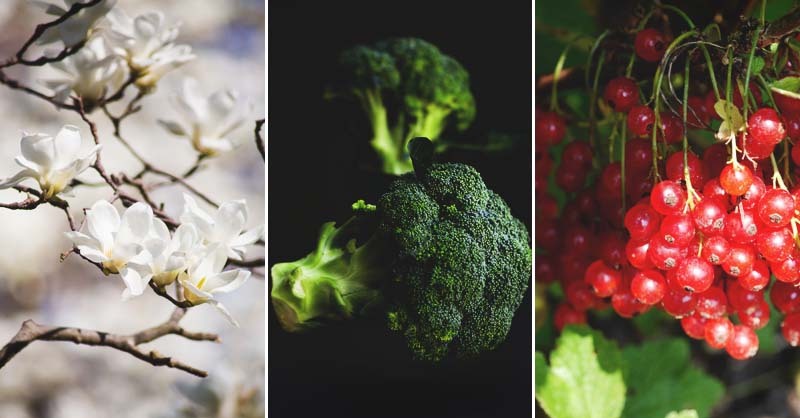 If you like to have a variety of berries on your property which will grow well in your current soil pH, don’t overlook currants. They could be what you’re looking for. Not to mention, you plant them once and enjoy them for years to come. 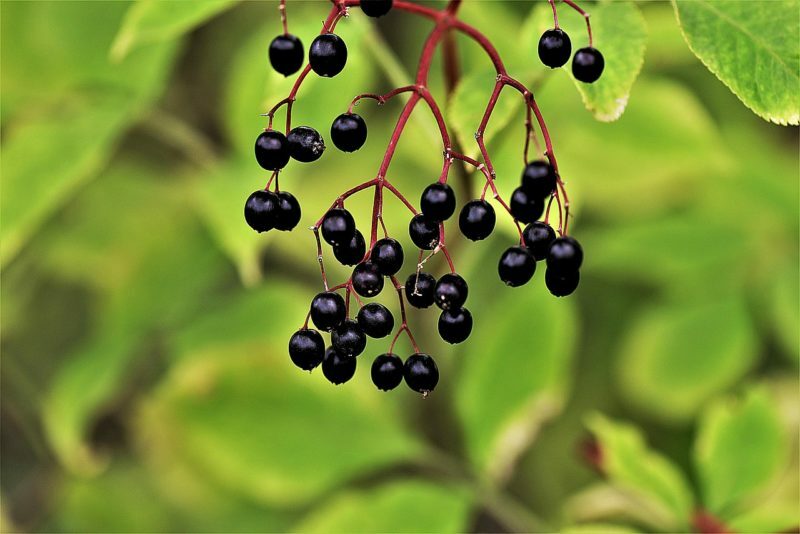 Elderberries can be a difficult plant to locate. 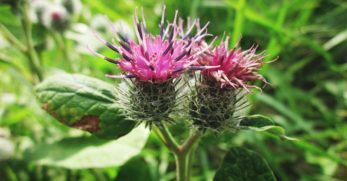 The reason being is they have many medicinal properties and people seek these plants out as much as they can. If you have the opportunity to raise elderberries you should. They’re delicious and a versatile fruit as well. 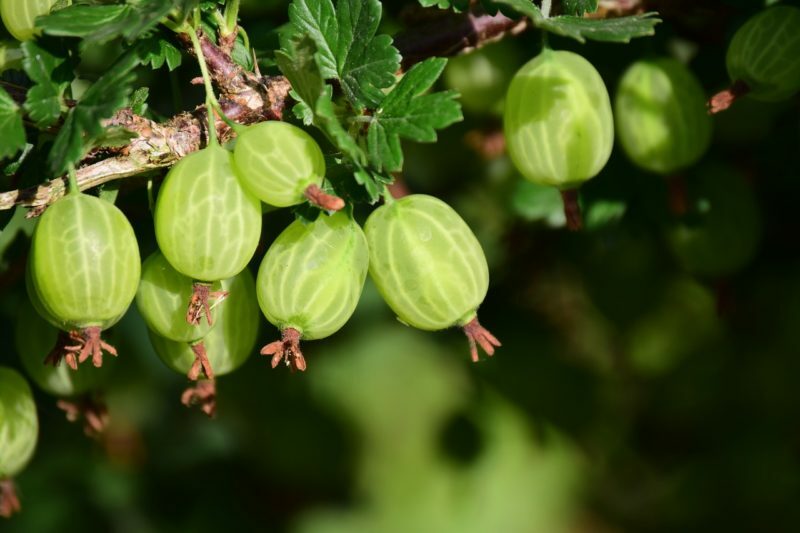 I laugh when I hear the word gooseberries. The reason being, when I was growing up, I’d hear of people making gooseberry pies on television. Until I grew older, I didn’t realize they were a real plant. However, I’m happy to tell you gooseberries are not only real, they’re delicious. Plus, they grow well in acidic soil too. There are some plants which adore acidic soil. There are also a wide variety of plants which don’t love it, but they can still thrive in it. Beans and the plants following hereafter fall into this category. 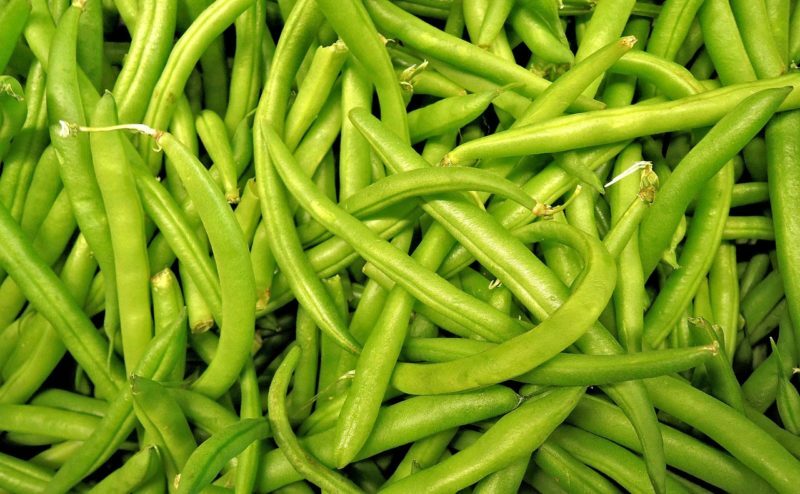 Beans are great producers and can be preserved each year to feed you or your family fresh foods even during the cold winter months. 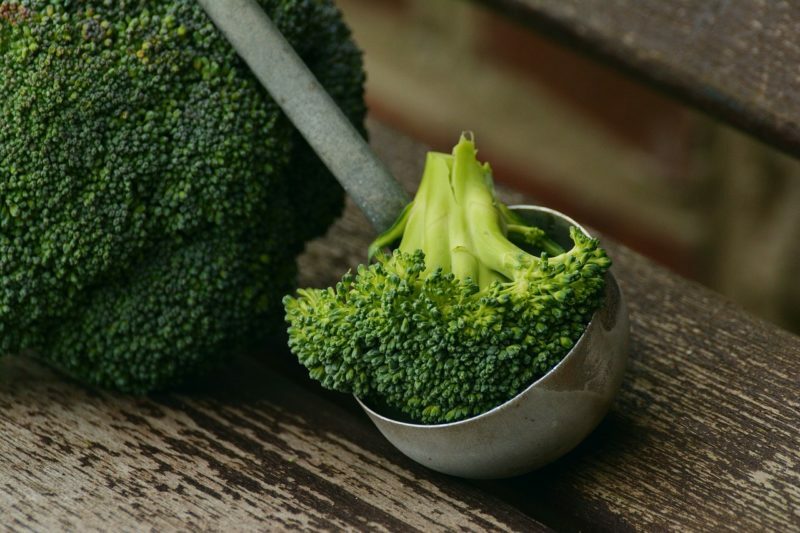 Broccoli is another vegetable which can adjust to being grown in acidic soil. It prefers colder temperatures which makes it ideal to be planted at some point in most climates. 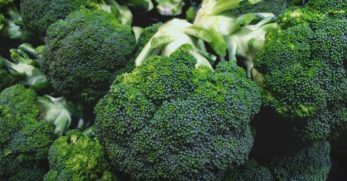 The only downside to broccoli is you must grow a larger quantity of it if you would like to have any to preserve for later use. We grow our own cabbage every year. It’s delicious and simple to grow as long as you have a cool period for it to grow in. Also, cabbage is great because in most climates it can be grown twice a year. 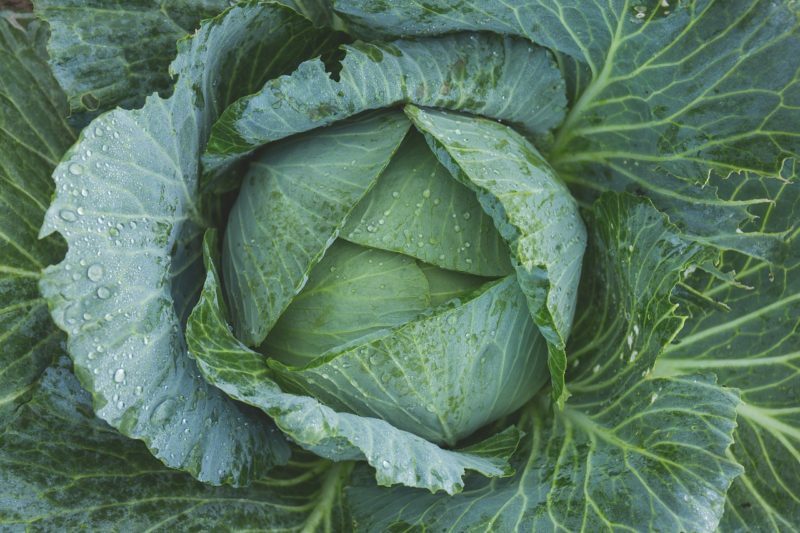 If you’d like a vegetable to grow in your acidic soil, consider cabbage. Carrots are great vegetables to grow. They’re root vegetables and require very little fuss. It’s not surprising they can still thrive in acidic soil. 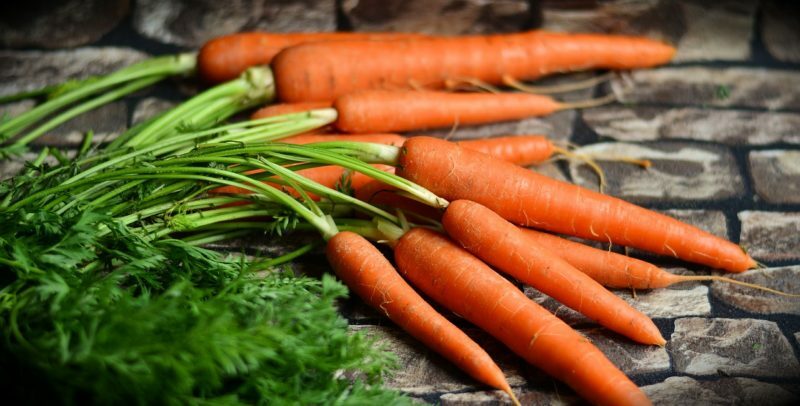 If you enjoy cooked carrots or like them raw for a snack, consider adding them to your garden. 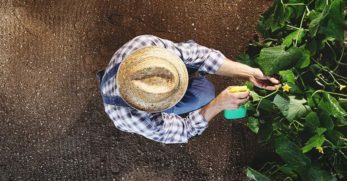 Don’t let the soil pH stop you. They’re also easy to preserve too. If you enjoy fresh pickles, you must plant cucumbers. 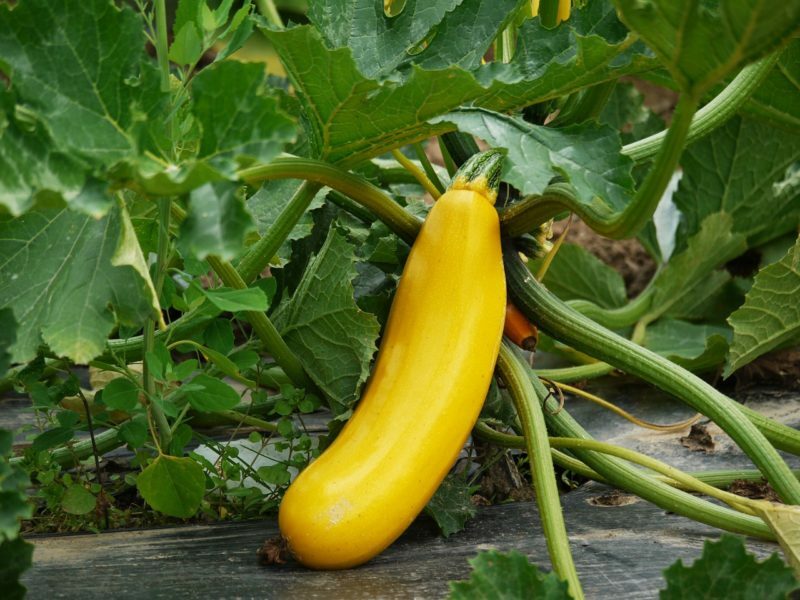 Keep in mind, cucumbers are not only simple to raise, but you don’t need many plants. They’re high producers and have numerous varieties to meet your needs. 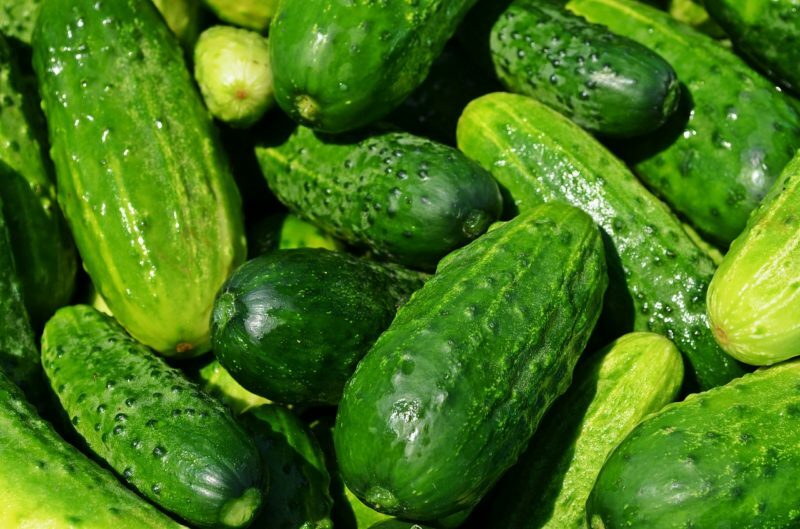 Whether you plan to enjoy them fresh or as pickles, cucumbers are a great option for acidic soil. 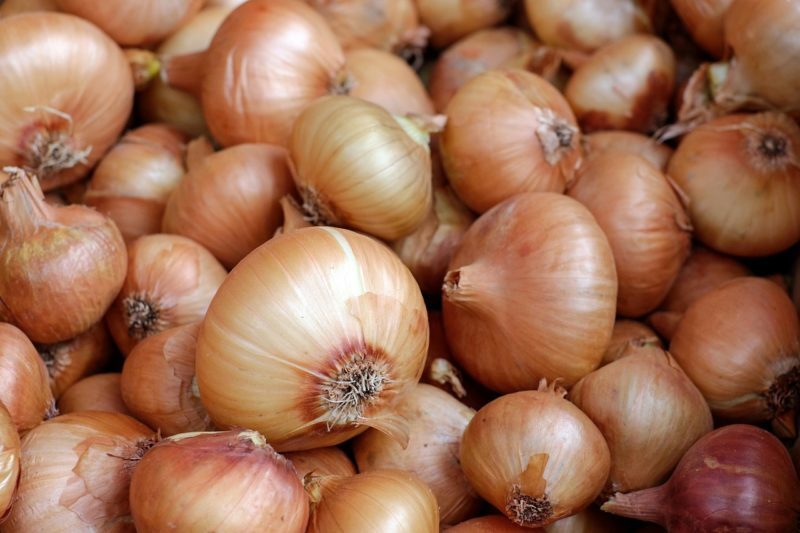 Do you enjoy cooking with onions? What about eating them raw? Before I met my husband, I had a strong aversion to onions. However, he could eat them breakfast, lunch, and dinner. After a decade of marriage, I love them too. Therefore, it’s no surprise we grow them every year. 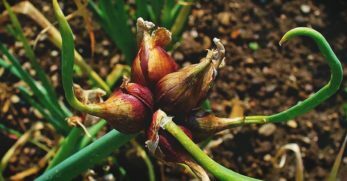 If you love onions and have acidic soil, consider growing them. I love squash. I love eating it, and I love growing it. Squash is delicious sautéed, fried, or included in a casserole. But I love growing it because I can plant only a few plants and have enough to eat, share, and preserve. Plus, they require little effort. I’m a summertime girl. I can’t help it. 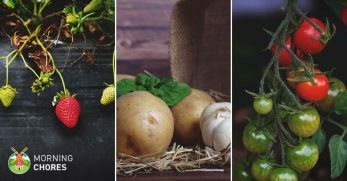 I love the food which grows during this time period, and I love how you can raise most of it in acidic soil. 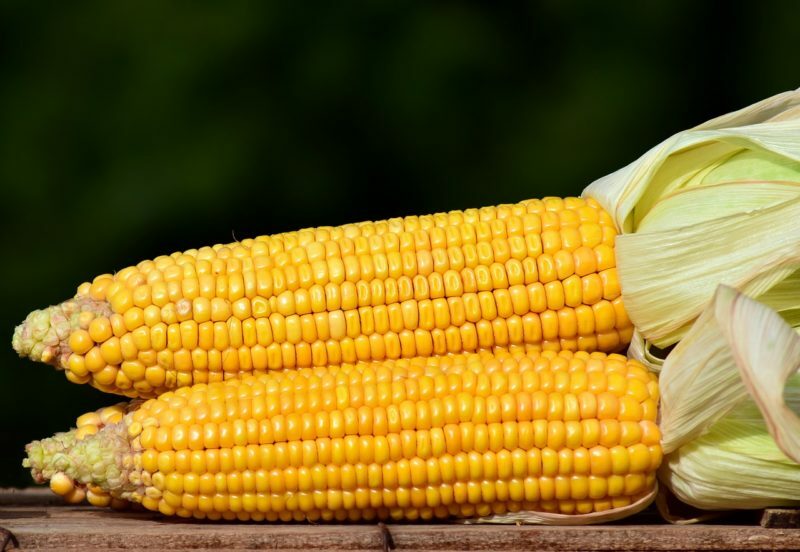 Sweet corn is no exception. It’s easy to grow and produces a delicious harvest. Not to mention, you can preserve it too. 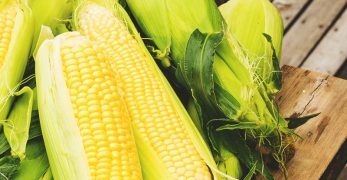 If you’d like to grow a tasty veggie in your acidic soil, go for sweet corn. 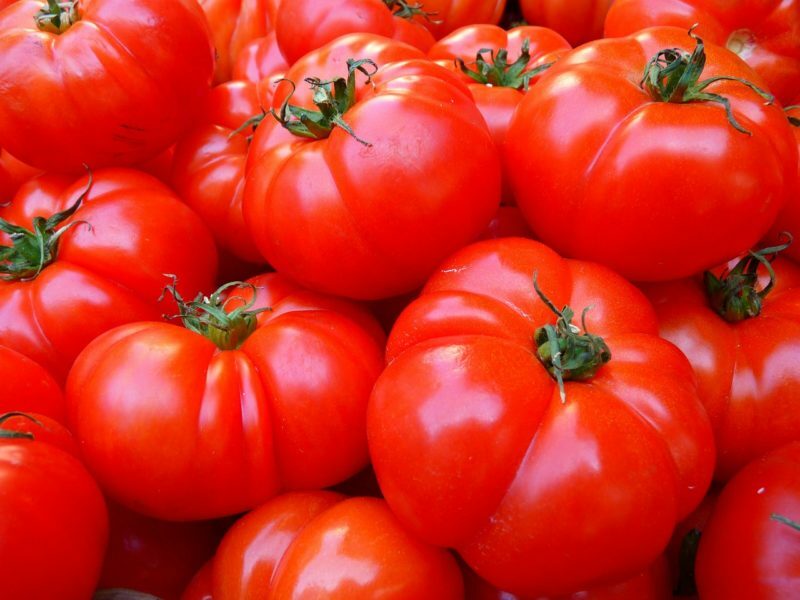 Who doesn’t love tomatoes? 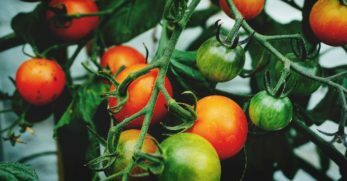 If you have acidic soil, put it to use in growing delicious tomatoes. It can be eaten raw, added to a salad, put on a sandwich, turned into salsa, make homemade ketchup, and preserved in a ton of other ways too. These are only a few of the options tomatoes present. They’re a great option to grow in your garden year after year. Turnips are a wonderful vegetable to plant in acidic soil. You get major bang for your buck. When turnips grow, they produce leafy tops and a turnip below the soil. The leafy parts are referred to as greens and taste delicious. 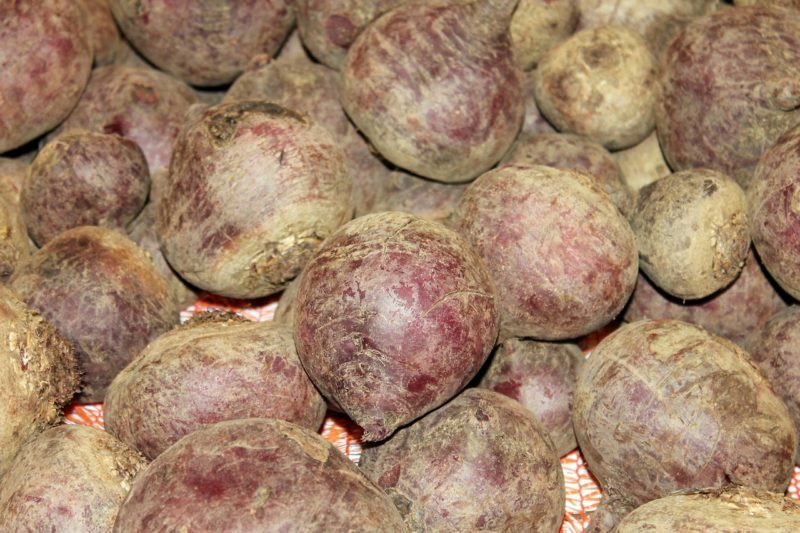 The turnips have a more distinct flavor, but many people love them. How many vegetables can offer two meals from one veggie? Apple trees can grow well in acidic soil. What’s wonderful about them is there are tons of different varieties to choose from. You can grow apples which produce a tart flavor or a variety which is sweeter. 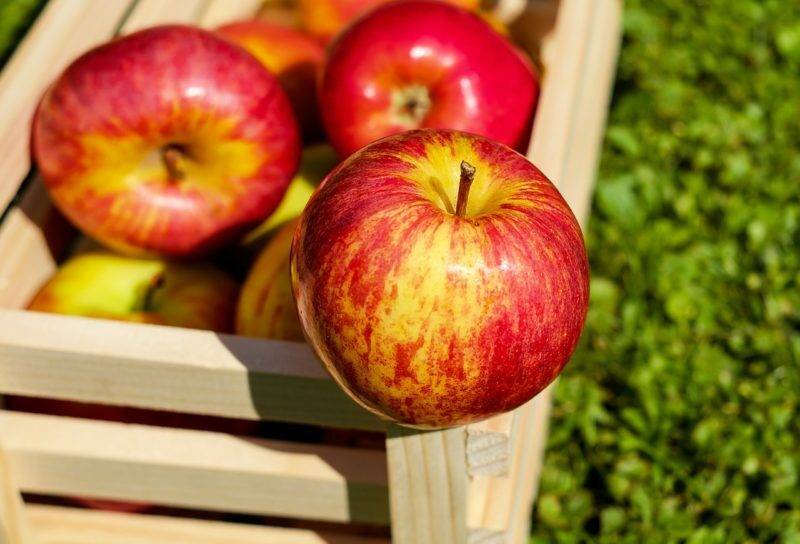 Apples are a healthy snack, great for baking, can be dried, or turned into applesauce. We have a vineyard on our farm. It’s gorgeous to look at it, but it tastes great too. Grapes are another fruit which can tolerate acidic soil within reason. 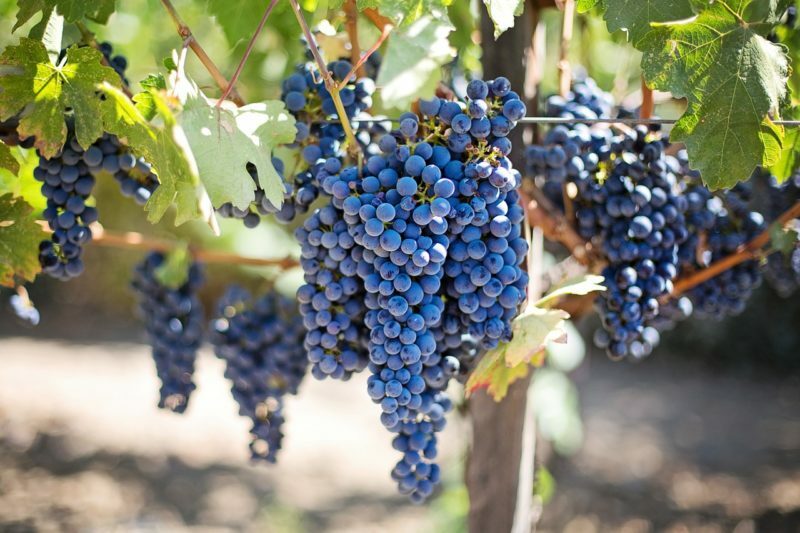 Keep in mind, grapes are a wonderful addition to your property. You can eat them fresh, juice them, or make your own homemade jellies. 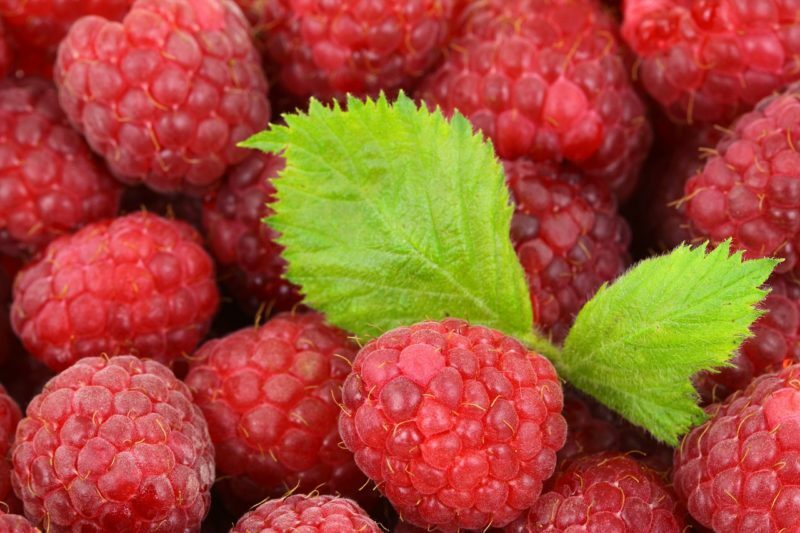 Raspberries is a fruit which can be flexible. It grows in a variety of soil types, but can still handle slightly acidic soil. This is a low-maintenance fruit which will return for years to come. If you like to make jams, jellies, pies, or enjoy a tart tasting fruit, this could be what you need. 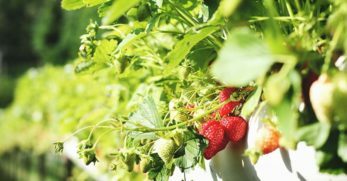 Finally, you can grow strawberries in slightly acidic soil as well. They’re a great addition to any property as they produce offspring each year and will return year after year. Also, you can decide which variety of strawberries to grow. This will determine if you keep a harvest for months or if they’ll all come in at once. If you’re a canner, you might prefer to have the fruit come in at one time. If you’d like them to graze on or bake a few pies, you might prefer to have them come in over the duration of a few months. Well, you now have over 40 options for fruits, vegetables, trees, and flowers which can thrive in acidic soil. 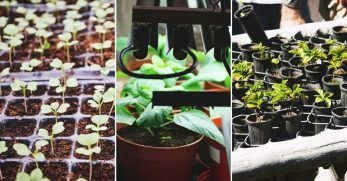 The only thing left to do is decide which would be most functional for your property and get busy planting.